Want to keep your leads interested and engaged all the way through your sales pipeline? Here’s how to create custom connections that convert. I’d like to think Dale Carnegie would be really into what’s happening with personalization in marketing and sales these days. It’s possible the author of How to Win Friends and Influence People, famous for his networking advice on saying back the names of those you meet, would approve of companies creating custom interactions with consumers. As Carnegie understood, personalization in marketing creates a positive connection. Consumers are becoming increasingly annoyed by brands blasting generic messaging at them, and are moving toward companies that provide valuable and relevant content and experiences. The benefits are not only on the consumer side. For companies, personalized marketing reduces acquisition costs and increases efficiency. It makes sense— targeted lead generation brings in customers who are more likely to stay in the sales funnel and end up as paying customers. Adding personalization into the sales funnel increases conversion rates by keeping leads engaged and interested throughout the process. While the intent of using personalization to build trust and engagement is still similar to what Carnegie was writing about back in the 1930s, it’s the sales process itself that has changed. It’s no longer a linear, clear-cut traditional sales funnel, where salespeople moved leads from awareness to consideration to decision stages. Now leads are coming in and out of the funnel at their own pace and are far more informed by the time they talk to a sales rep after visiting the website, chatting and emailing with support, following on social media, and reading reviews. According to marketing automation platform Marketo, a full two-thirds of consumers expect their interactions with brands to be personalized. Personalization in 2018 is trending and it’s more complex than in the past; it’s not simply adding a lead’s name to an email subject line, but it’s not spying either. People are more willing than ever to let companies use their personal information, like purchase history or interests, to provide them with a customized experience. Think about the user experience that brands like Netflix, Amazon, or Spotify offer. 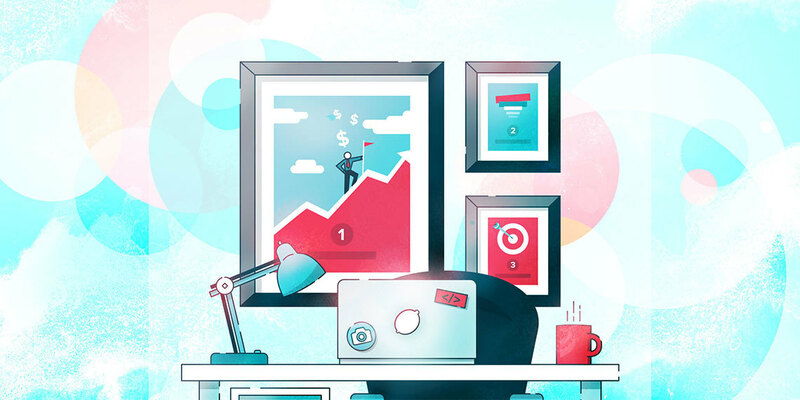 Though these are consumer-focused examples, B2B sales teams can also reap the benefits of personalization as part of the sales process. After all, good B2B sales reps are still building relationships. It’s not like the people making purchasing decisions for their companies turn into robots once they clock in. They expect a personalized interaction similar to their B2C counterparts, complete with relevant, timely information. 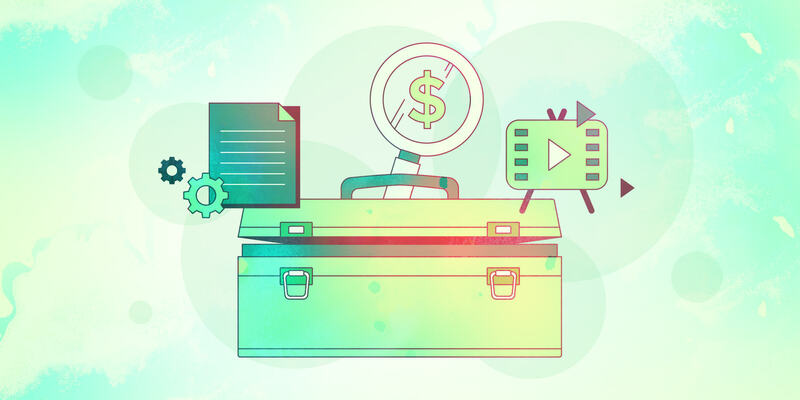 Here are 13 ways you can make your team’s sales funnel get more personal, using marketing, automation, and old-fashioned networking and relationship building. Beyoncé knows the power of getting personal. Any customer journey begins with awareness. They can’t buy your product or service if they don’t know it exists, right? 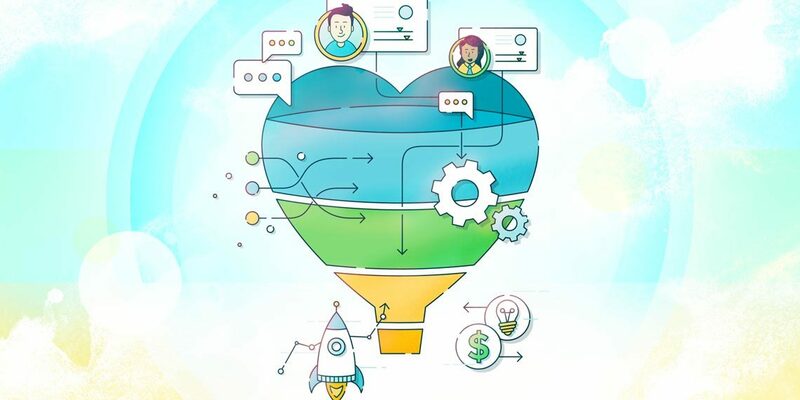 Though the responsibility for marketing might ultimately rest elsewhere, your sales team should be aware of the personalization that’s vital during this first stage of the funnel. Sales and marketing departments should be working hand-in-hand, so if you or your sales reps see areas where personalization could be strengthened or fine-tuned, share this information with the marketers. Being vague or all over the board with your company’s marketing efforts will get you... vague leads who are all over the board. Laser-focus your content marketing so you’ll attract more qualified leads in the market segments that you want to close and know are more likely to convert. It’s likely that your organization’s marketing department will be handling this, so working in tandem with them will align your team’s real-life sales insights with their marketing know-how. Use wording that speaks to your ideal customer or client. If your ideal customer is more upmarket or enterprise-level, it could be that using ads and offers that contain words like “free” or “discount” might translate to “low-value” or “sub-standard” to them, even if you think you’re simply emphasizing that you offer trial memberships or volume pricing. Knowing how leads found your website is key. Use personalized landing pages specific to their industry, region, or even the search terms they used to find you. Going to an event or introducing an industry-specific product? Set up a landing page for attendees that speaks directly to how your solution addresses their specific pain points. 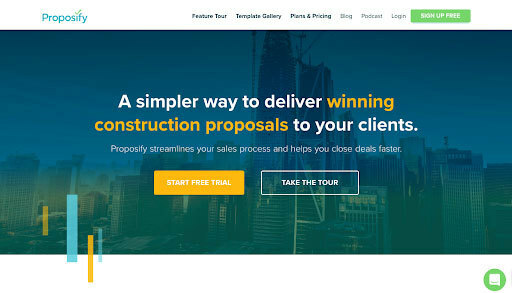 For example, when we here at Proposify created proposal templates aimed at construction companies, we built a landing page that shows off how using online proposal software streamlines the bidding process and invites construction companies to learn more and start their free trial. Make sure any sign-ups, forms, and inputs have good data management. Use specific questions to get specific information. Use dropdowns where you can so you get uniform data that’s nice and easy to use in segmentation and automation later on. Here’s an example of how Proposify uses dropdown menu options to gather consistent information from our online lead generation forms. And, respect that people are trusting you with their information. Be sure your organization is up-to-date on the legalities of data collection and is following any relevant privacy legislation, like GDPR. Here is where the sales team can really leverage good personalization techniques. Keep the personalization friendly and helpful. Too much personalization can come off as, at best, over-eager or, at worst, creepy. Just as leads will be doing research on your company and your product or service offering, your sales reps should be learning as much as they can about leads ahead of time. The majority of B2B leads now expect that sales reps won’t be coming into a sales call or other interaction completely cold, that they will have at least done some online sleuthing first. Knowing things like the basic corporate hierarchy, common challenges and opportunities in their industry, and what the company has been talking about on social media will give reps a stronger “in” with the lead. It’ll also save time in the sales process, as you won’t be starting at square one. Ensure your sales reps are asking smart questions and really listening to the answers. Don’t assume you know what the potential customer thinks, wants, or knows. Asking open-ended sales questions will get more nuanced information so you can understand their problems, concerns, objections, budgets, and timelines. Go into each sales interaction knowing it’s not one-size-fits-all. Reps are responsible for guiding and educating leads about the possible solutions for their unique needs, not the needs of the big customer your team just closed, or the company in the same industry your organization worked with last year. You likely have a general sales process that reps follow, but make sure they are having real conversations and forging relationships. People can tell when the person on the other end of the phone or screen is working from a script. As in the awareness stage, provide leads with educational sales content designed to help move them toward a decision. Make sure your sales team has the marketing content they need for each customer segment and each stage of the sales funnel. Nurture your sales funnel by educating. Show leads how your solution works—case studies from happy clients with similar challenges work great here. Provide them with educational information—segment leads to make sure they’re getting targeted information, not just blasting them with general messaging. Establish early on in the relationship how your lead prefers to be contacted and when. Knowing that they don’t check email after a certain time or are rarely at their desk to answer a landline call boosts sales reps’ time management and decreases frustration on both ends. Sales reps should end each conversation (no matter the medium) by setting up a clear next step with the potential customer, like another call, a demo, or a training session. Never call “just to check in”. Give some of it away. Nothing sells people on a product or service like someone not actually or aggressively selling that product or service. Instead, build trust by demonstrating how your product or service would be an ideal solution to their challenge. For example, if you do web design and development, show your prospective client the difference between a site made for free using something like Wix, and one you develop. Explain how much work, step-by-step, goes into making a great-looking, high-performing website. Show that you can efficiently build a website that resolves their specific challenges and keeps new ones from cropping up. By the time you send your proposal, they’ll better understand how much value they’re getting by hiring an expert. 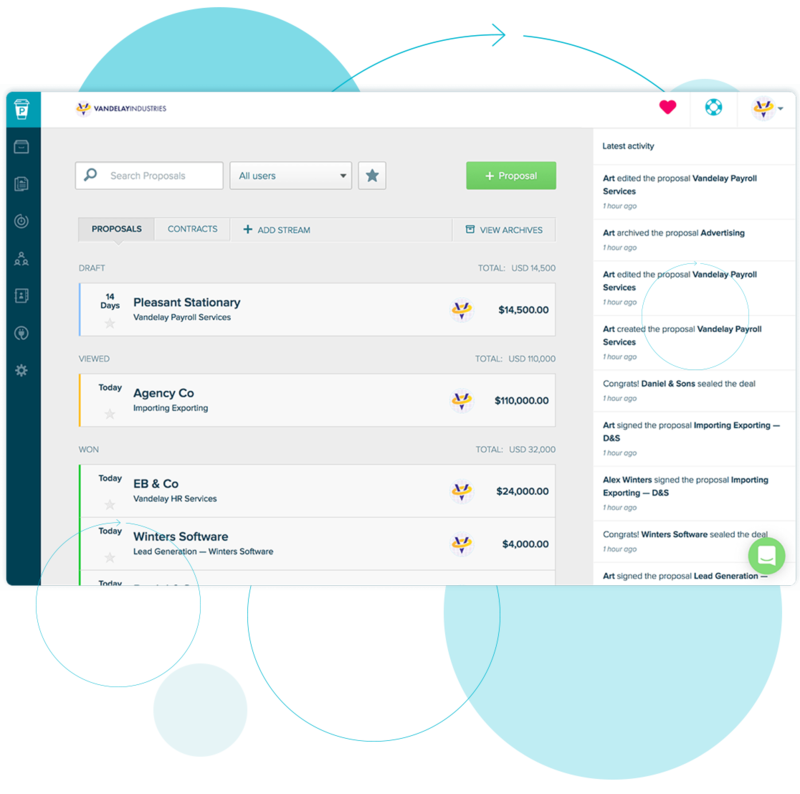 We all know time is money, so you and your team will likely add automation at some point. Machine learning and artificial intelligence are becoming more common, but it doesn’t have to be the opposite of personal. Fully embracing something like email personalization takes some forethought. Make sure you have proper names to go into your fields, so no one ends up receiving the dreaded “Hello, [Valued Customer]” greeting. Use dynamic images or text areas in emails and on websites, ones that change to show targeted content depending on customer criteria and previous actions. If you’re selling accounting services, you might want a dynamic email or website section showing important dates and deadlines that change for recipients and visitors from different provinces or states. Even something as simple as greeting late-night visitors (in their timezone) to your accountancy website with a header that changes to something like “Tax issues keeping you up? We can help” would make the customer feel seen. So you’ve successfully woven personalization into your sales process the whole way through. As you get ready to close the deal with your client, this is no time to suddenly become impersonal. And don’t be a stranger to your existing customers either. Use the personalization data you’ve collected, plus any new customer insights based on their purchases, to delight them by anticipating what they might do or need next. Make sure all of your closing documents are tailored to the client. Include information that you’ve learned about them throughout the sales process. Ensure the basics of personalization are covered. Don’t include sections of a contract that don’t apply to the proposal at hand. Don’t send them a reused proposal with another company’s name on it where your new customer’s details should be. Online proposal software like Proposify has a fields option that will help you avoid the latter situation by auto-filling your client details throughout the document. No more find and replace! As your sales team is communicating with leads and customers, at some point they may bring up ideas for products or features that you don’t currently offer. Don’t let these thoughts just sit there. Collect them and bring them to your product development team or the next company brainstorm. Specific, one-off ideas may not have enough critical mass to warrant bringing them to life, but there could be some gems that have a wider appeal to new and existing customers. Follow up with the customers who suggested the feature if it does become a reality. Don’t miss out on a great opportunity to upsell or simply celebrate with your customers that your company is always innovating to serve them better. Here at Proposify, we are regularly adding and updating features based on user suggestions. We not only let our current customers who requested the new features know, but also go back to former and prospective customers in case that particular feature was a sticking point in their purchasing decision. Set your website up to recognize visitors who are already customers. Invite them to sign in to their account, upsell them, announce new products or features, ask for referrals or reviews, and point to customer-centric content like user guides or tools. Anticipating needs, not just reacting to requests or putting out fires, is becoming the new standard that customers expect. To succeed in today’s marketplace, your sales and marketing teams need to serve up relevant, personalized information to leads during the entire sales process, from first web search to delighting them as a full-fledged customer. I’m sure Dale Carnegie would approve.